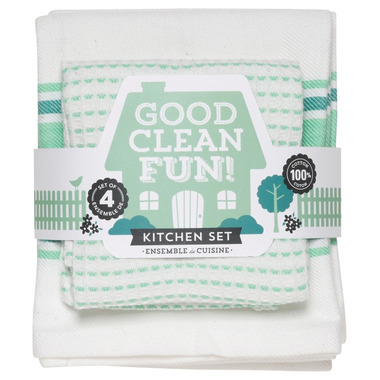 This Now Designs Good Clean Fun Kitchen Set features a gift packaged set of 2 absorbent cotton kitchen towels and 2 soft cotton textured dishcloths. 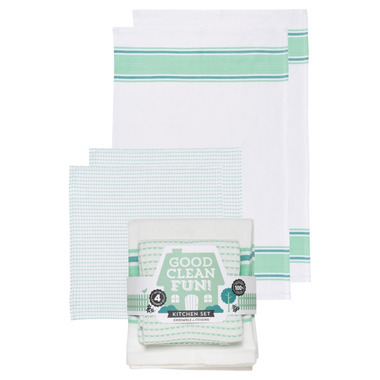 Dimensions: Dishcloth 13 x 13", Dishtowel W18xL28"
Now dishcloths and dishtowels best ever! Last for years!